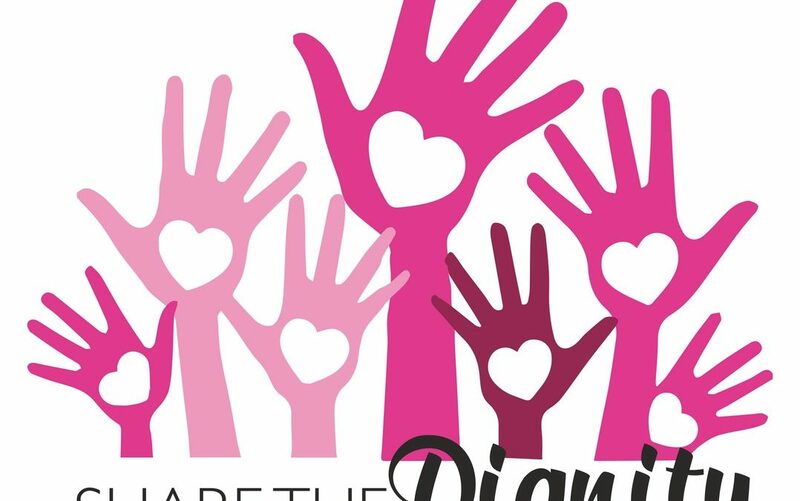 We thought that we would just share this little story from Share the Dignity who organise the It’s in the Bag campaign for Christmas each year, plus twice a year they organise a collection of sanitary items for women in need. We have been the recipients of these donations and they do make a difference to our clients. Just last week we had a client who, through the financial abuse of her ex-husband is being made homeless with her two children, one recently in remission from leukemia and a 13 year old daughter with a serious knee injury. Her daughter had just let her know her period had started and she didn’t have any way to pay for what she needed. So imagine how relieved she was to be able to take some sanitary items home for her daughter! What is so disgusting to me though, is that these essential items are not GST free and the government has no intention of changing this situation. When I got a phone call from a local Domestic Violence refuge who we help with pads and tampons, they were desperately in need of some maternity pads. This phone call led me to heading to our warehouse and rummaging around for as many packs of maternity pads as i could find. When i arrived at the refuge I was met at the door as my arms were full of maternity pads, after going through i was introduced to a young woman around 24 who was holding the most beautiful 4 week old baby (omg my ovaries ache at the site of a baby) it dawned on me these pads were for this young mum who still had ruminates of a black eye and bruising on her arms like i had never seen. You see her partner had beaten her so badly while she was holding her newborn, even trying to run her down with their family car. I have no words for the story I heard, but i know listening to this scared young woman talk about how she was too embarrassed to tell the ladies at the refuge that she couldn’t afford pads and was actually using socks and washers to deal with her blood flow. I wish we could fix everything trust me it breaks my heart to just brings pads and leave but after a good cry I realise that this is now just one thing this mum and the thousands of girls and women we help do not have to worry about, the very basic of necessities like pads and tampons. I share this story so YOU know that the donations you make have a direct impact on a woman in need. Our collection wraps up in just 4 days so please as you are walking the sanitary isles please grab a packet of pads or tampons to donate at one of our thousands of collection points. OR YOU CAN DONATE ONLINE JUST A FEW DOLLARS TODAY. Lets ensure together that no woman has to use socks, newspaper or wadded up toilet paper to deal with her period.